TileSense | Better Designs. Better Prices. Makes Sense. At Tilesense, we specialize in providing a total solution to all your building requirements for ceramic, porcelain, stone, and mosaic. From helping you choose the right flooring for your living space to providing a fair and accurate estimate, you can count on us every step of the way. We manufacture and supply the entire range of high quality wall and floor tiles at the most competitive market prices –below wholesale prices. Our commitment to quality is unsurpassed. Only Premium Grade tiles are stocked here from ISO-certified factories. In house team of creative designers who has an eye for design, and has the capability to visualize the concepts and explain them to you. One stop shop carrying a great selection of porcelain, mosaics, marble, wood flooring, vinyl, ledgestone. Utilizing the latest and environmentally-friendly technologies in production. Products with Inkjet printing, High Definition Digital Printing, and GREEN TILES (Certified from US Green Building Council) are sold here. 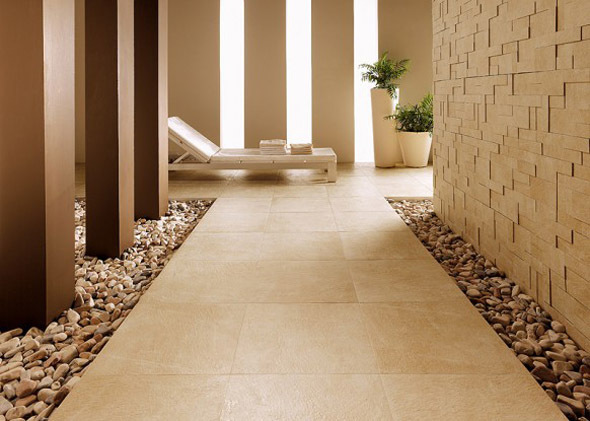 TileSense’s Great Service, Quality Assurance and Expertise in Flooring Solution. We will match or beat any LEGITIMATE quotation for your Tile needs. As a tile contractor, I was impressed to see the quantity of selection they carried in their tile outlet store. I’ve installed their ledgestone marble and marble lantern mosaic for a client of mine this winter and I was very pleased with the quality of the materials I had to work with. Their products are great to work with and their customer service was friendly and helpful to me. They delivered their products when promised and allowed me to complete the job on time. I am very pleased with their business ethnics and protects. I would highly recommend they to my clients and work with them again.